The High Court yesterday struck out an application filed by journalist Saed Kubenea seeking to suspend the ongoing Constituency Assembly (CA). According to the ruling given by a panel of judges comprising Justice Augustine Mwarija, Justice Fauz Twaib and Justice Aloyisius Mjuluzi, the application is defective because it was filed under a wrong citation of law. The panel agreed with the preliminary objection filed by the government that, the petitioners used a wrong citation section 2(2) according to the law governing civil cases that cannot move the court to give orders on the application. 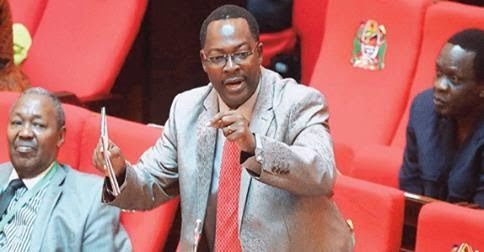 On August 22, Kubenea filed a petition along with an application seeking an order to stop the ongoing CA sessions pending interpretation by the court of the assembly powers. He wants the court to give clarification on whether the assembly can overturn proposals contained in the Second Draft Constitution tabled by the Constitutional Review Commission (CRC) in the House. The petitioner seeks declaration on the proper interpretation of the provisions of Section 25 (1) and Section 25 (2) of the Constitutional Review Act on whether it has powers to materially alter the contents of the second Draft Constitution as presented to it by the Constitutional Review Commission, and to what extent. However, in its preliminary objection, the government said that the prayer sought by the applicant ‘is frivolous, vexatious and not justiciable’ in law as it was supported by a defective affidavit.